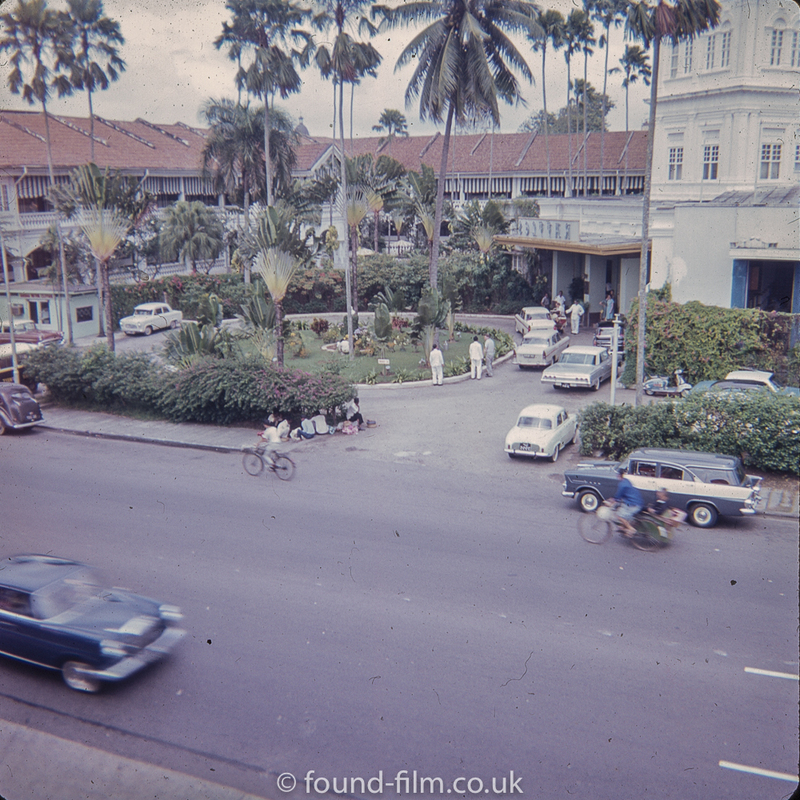 A picture of a street in Singapore in the early 1960s taken at a slow shutter speed and therefore showing some movement in the traffic. This looks like the entrance to a hotel. There is a clear roadway in a circle with a dropping off point at an entrance, and there seems to be someone standing and greeting some people as they step out of their car or taxi. Above the main entrance is some writing in Chinese, which I can’t read, but a more knowledgeable viewer may be able to tell me what this says?